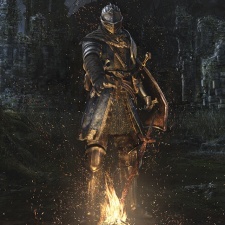 Dark Souls Remastered brought the 2011 action-adventure classic straight into the No.1 spot in the Steam Top Ten last week. From Software announced a remaster of Dark Souls on multiple platforms earlier this year. Quickly becoming a phenomenon on its initial release, the remaster is largely small graphical upgrades and quality of life improvements. PC fans are relishing the opportunity to play back through the classic without installing a prerequisite list of mods to get the game running properly. Dark Souls Remastered is the second game to depose PUBG since its launch in March 2017. Far Cry 5 took the top spot from Battlegrounds on launch last April. House Flipper moves up a spot from last week, sitting strong at No. 4. Developer Empyrean has been consistently updating the game in the week since launch, making renovations before making bold expansion plans. Wizard of Legend takes No. 5, dropping one place from last week. Distant Stars, a story pack for Stellaris, takes the No. 7 position this week. The $10 pack released last week, and adds a wealth of new exploration content to the Paradox space strategy. Ubisoft close out the list, with ninth and tenth spots going to Rainbow Six Siege and Assassin’s Creed Origins respectively. Below is the Steam Top Ten for the week ending May 26th.